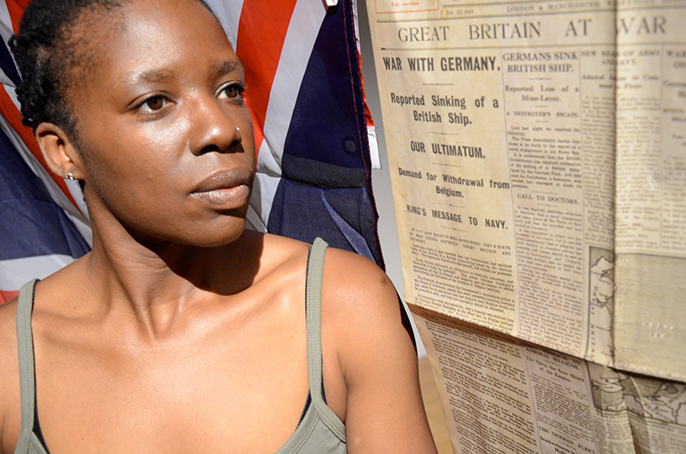 Raising Lazarus [read review] charts the true story of Kat Francois’ relative from the Caribbean island of Grenada, who joined the British West Indies Regiment in 1915 to fight for Britain during the First World War. A journey which took this young West Indian soldier to Britain and Africa to fight for a country he knew as the Motherland. Kat Francois [read interview] weaves a story of how she discovered she was connected to a part of British history she previously thought had no relevance to her. Kat exposes a small part of the journey undertaken by thousands of Caribbean soldiers who volunteered for King & Country.